We’re currently in the middle of an extra long weekend, so we thought we’d celebrate by posting up an extra long New Music Post for you all. Eagles for Hands have a new single out called Handprints. They’re back to dancier territory after their collaboration with Sivu that we posted last month and we like it a lot – bright percussion, chopped up vocals and a housey piano line that ties it all together. Nice and cheap on iTunes at the moment too. 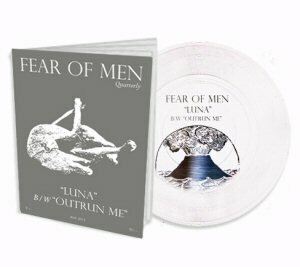 Fear of Men have posted up a couple of tracks as a taster for their debut album which gets released tomorrow. Since we got the promo, Loom hasn’t left our stereo, and The Line of Best Fit have just given it a 9/10 review. Descent is going to be the second single from the album, but there’s no details of a release date just yet because first single Luna got held up at the press because of Record Store Day. King Porter Stomp have a new single out, available right now as a name your price download from Bandcamp. There are two links to share in addition to the video for Still Running – There’s the link which gives you the single, the instrumental and the acapella, and there’s a remix package too. Last, but by no means least, is a new video from Adolescent. Golden Halls Part Two is taken from his upcoming Golden Halls EP which is out on May 12th on KLDSCP, with a launch party taking place on the same day at the Green Door Store. Half Hour Hotel have put up a new song onto Soundcloud. The anthemic indie track is called Warcry and you can grab it as a free download via the band’s facebook page. Half Hour Hotel will be supporting The Boxer Rebellion at Coalition on 4th February. Finally we have the video for Bodies, the new single by Woodland Blue, which you can buy on iTunes here.